Limited edition prints are available upon request. Most recent exhibit catalog and edition pricing can be found here. Exhibit books including "Niseko: The Snow Magnet" and "Surprising Marfa Texas" are available here and can be purchased as large format art books or downloaded as PDFs. Saam Gabbay didn’t choose photography so much as it chose him. Despite success in his other career arenas of directing and advertising creative, he found himself using photographs as means of connecting with those around him. “I’m something of an embedded journalist in my friends’ lives,” he explains. 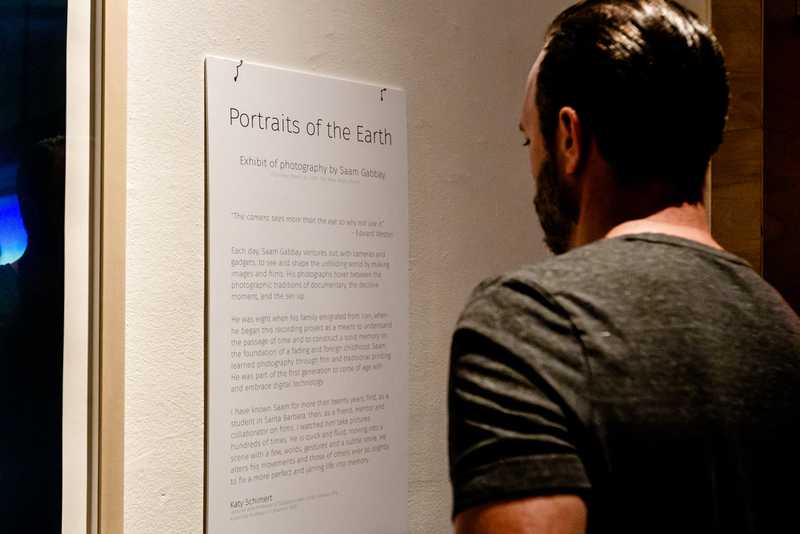 The photos of his debut exhibition, Portraits of the Earth, demonstrate this: while the lucid and luminous photos truly have the components of portraits, capturing the most dynamic qualities of the earth, they are never without human presence, be it literal or implied. While traditional landscape photographers often seek to document the earth without any human influence, Saam’s work shows the nuanced interactions between humans, nature, and city, the vibrant jumps between the natural and the created. 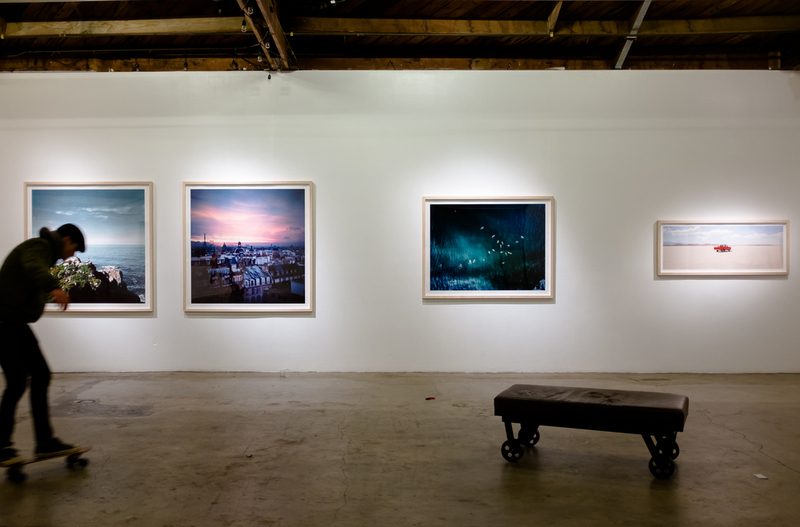 Ever a globe-trotter, Saam’s photos span from Paris to the California desert, snowy mountains, and perhaps most compellingly, bodies of water. The shots speak to Saam’s international heritage — he has moved from Iran to Paris to Los Angeles, then to New York, and back to Los Angeles. It should be no surprise then that his connection with the California landscapes are potent: 405/10 Interchange manages to make one of the most dreaded parts of Los Angeles living (life on the freeway) into a pleasing juxtaposition of that chaos with the textural beauty of what it can be. Shots like Dimi and Bovina Pond Dive, both featuring human bodies interacting with water, bring to mind the work of artists like Cartier-Bresson with their detailed craft. The images were captured in a valuable decisive moment, and manage to be lyrical without venturing into the realm of sentimentality. Venice Breakwater, which at first glance seems devoid of humans until you notice 3 tiny swimmers on top of the frame, serves as a reminder that a straight photograph can be just as surreal as a manipulated one. 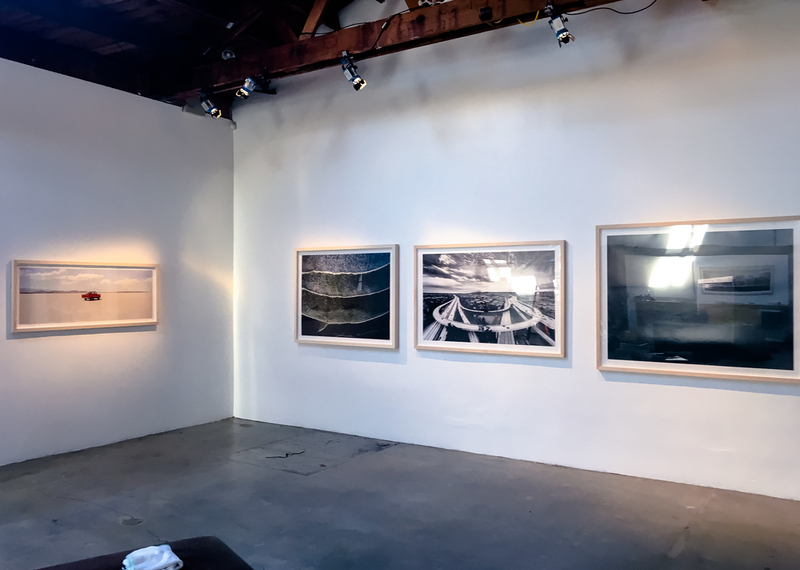 Carson in Big Sur reminds us of Saam’s role as that embedded photographer, depicting an intimate moment with a friend into something of a potent memory for the psyche because of his distance to the subject. While Saam has found success as a commercial photographer, it is his fine art photography that allows him to explore the complexities of his subjects in a refreshingly down to earth arena. 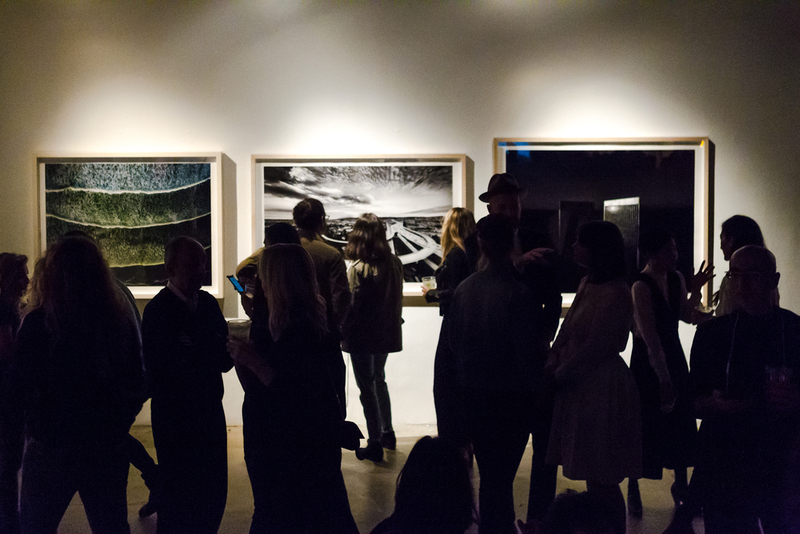 Unsurprisingly, the show was a huge success, with many of the elegantly spare pieces being sold to collectors who themselves are heads of production companies and the tastemakers of culture.